Bungie has pulled the curtain back on Destiny 2’s second big expansion, Warmind, via a packed Twitch livestream. The expansion includes new weapons, gear, activities, and end-game content, as well as a new story campaign, which takes players to Hella Basin, a desolate location on the frozen pole of Mars. Check out the Warmind cinematic prologue and a story synopsis, below. In addition to the story campaign, Bungie is serving up a new Raid Lair, Spire of Stars, which will be the final one for the Leviathan raid, and the all-new endgame activity, Escalation Protocol, a PvE challenge which will pit you and your friends against waves of enemies and a challenging boss. Of course, there will also be the usual stack of themed weapons, gear, and armor to earn. Bungie will also be making a variety of tweaks to its PVP Crucible mode. Most notably, they’ll be adding new player rankings and private matches to the mix. Players will be able to rank up in two ways – Valor goes up as you complete matches without any quitting penalties, while Glory is only available in the competitive playlist and is strictly based on wins and losses. 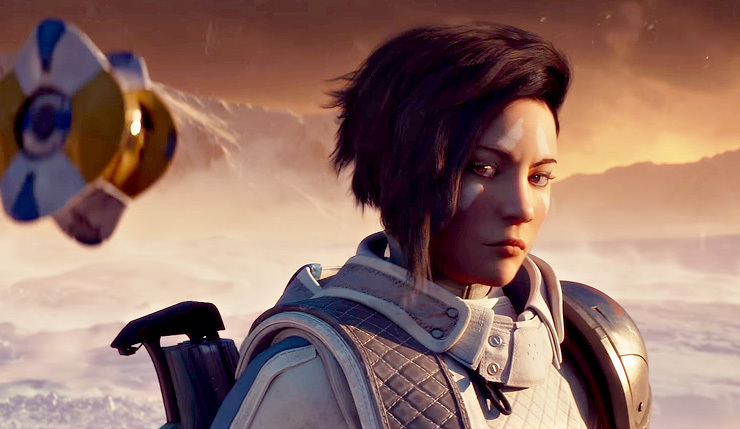 Destiny 2: Warmind launches on PC, Xbox One, and PS4 on May 8. The Insight Terminus and other PS4-exclusive content won’t hit other platforms until at least Fall 2018.